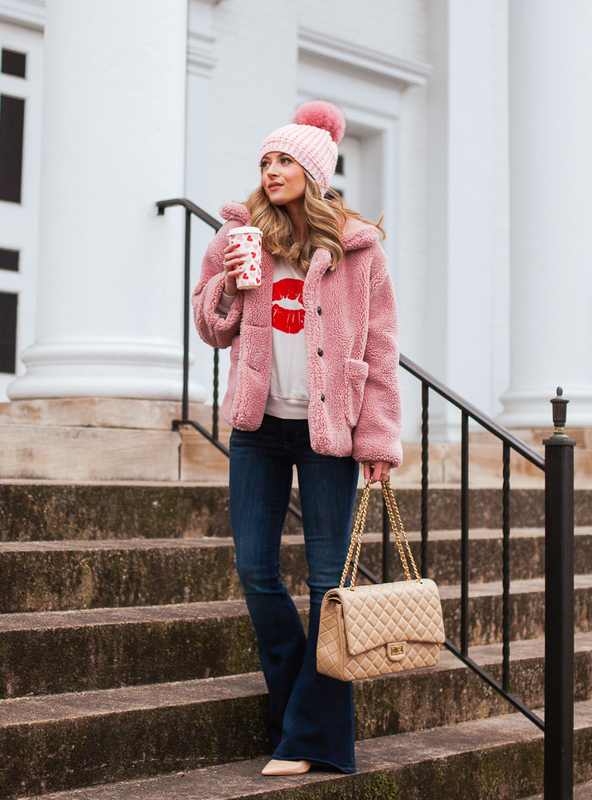 I was deciding between a couple of different Valentine's Day inspired outfits for today's post and realized this adorable lips sweater is almost out of stock! 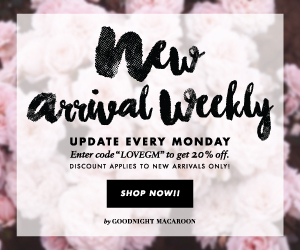 So obviously, I wanted to get this up so you all have a chance to shop before all of the sizes are gone. Hurry Hurry! It's such a comfy piece you can wear with lounge pants, or styled with a nice pair of jeans and pumps. I am a huge fan of Wildfox sweaters and sweatshirts and was actually on the hunt for some new ones when this cute lips sweater popped up 54% off, making it less than $45. So naturally, I had to have it immediately. I think the graphic is perfect for Valentine's Day or even every day for the lipstick lover. I'm planning to wear it for an upcoming makeup tutorial as well since it's such a good fit! 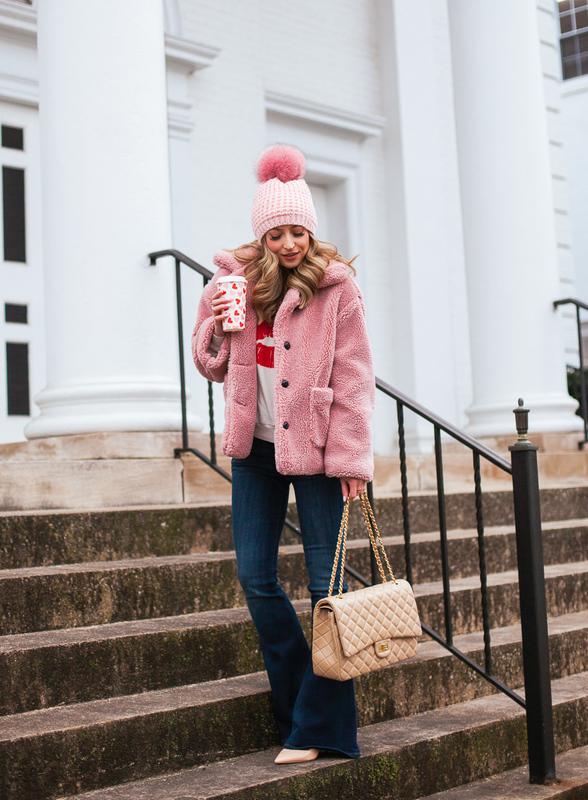 Over top, I have on the cutest, comfiest pink teddy bear coat. I saw this on another blogger, Jennifer Lauren and had to have it. 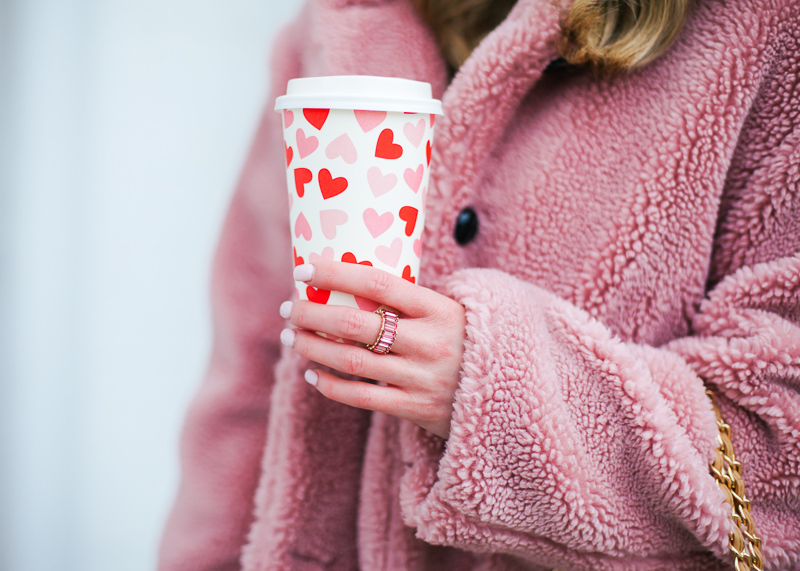 I'd been wanting a teddy bear style coat but couldn't find a style I liked... until this one! The pink coloring was the real reason I was so drawn to it and then, fortunately, it also has a great fit. I'm wearing the small which I feel fits quite true to size. Normally I'm an xs. I was so excited to see yesterday that my flared jeans are, IN STOCK in tons of sizes, and are on sale buy one get one $29.90! They have so many cute pairs of denim, and tons of flared styles to choose from. I'm 5'2" and have on the 00 regular, which is my usual size but I didn't buy short or petite because I like to wear them with heels, boots, or wedges. The pair I have on are about 4 inches high. Couple of things to note: Sadly, my heels are sold out so I linked some super similar. And lastly, my quilted bag is the color apricot, but it's been sold out for a very long time in the oversized version. However, they do have it medium, large size, and in the oversized travel. make sure to check out some of my blog posts from last year below. Also, make sure to check the right side of the blog for additional Valentine's Day items!